OUH - Molecular & Cellul. Cancer Res. Professor Inger Helene Madshus' group was in 2012 merged with the group of Professor Henrik S. Huitfeldt (Laboratory for Toxicopathology), with Professor Inger Helene Madshus as the group leader. 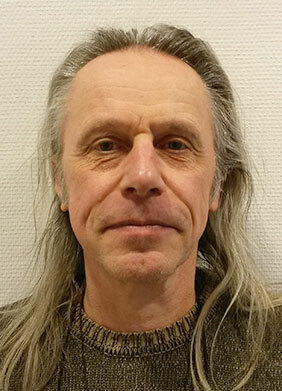 In 2013, Madshus retired and in 2014 PhD Espen Stang was appointed as new group leader. The projects carried out in the group has centered around how EGFR family members can be down-regulated physiologically and experimentally. Such studies are motivated by the fact that over-expression of these RTKs is driving oncogenesis in a number of human cells. Potential ways of therapeutically down-regulating these proteins is therefore of utmost importance in treatment of diseases like breast cancer, colon cancer, prostate cancer, pancreatic cancer and glioblastomas. A prerequisite for designing mechanisms inducing therapeutic down-regulation is more detailed knowledge on mechanisms normally controlling endocytosis and degradation of the EGFR family members. Laboratory for Toxicopathology has been working with experimental liver carcinogenesis, or more specifically on how EGFR regulation of the cell cycle is altered during early rat liver carcinogenesis.